With few exceptions, most e-commerce businesses typically see significantly higher conversion rates for desktop users when compared to mobile users. In fact, recent data estimates that desktop conversion rates are typically in the neighborhood of three times higher than mobile conversion rates. Why is this the case? Why do shoppers feel so much more comfortable making a purchase on a computer as opposed to a smartphone? Generally speaking, the reason is twofold. Many shoppers, especially older shoppers, prefer the larger screen size and the familiarity of a desktop device. For many, making an online purchase is an exercise in trust. The shopper must not only trust the website they’re making the purchase on, but also the device they’re using to complete the transaction. However, another part of the equation is that many websites provide a mobile shopping experience that does not match that provided on a desktop device. Designing an excellent mobile shopping experience can be a challenge. Let’s take a look at a few mobile design tips that can be used to help create a better mobile experience from start to finish. This is the first stage of the buying process: users arrive on your e-commerce website and attempt to find the products or services they’d like to purchase. So, what can we do to help them do this? It’s important that your website loads quickly on a mobile device. Google’s PageSpeed Insights tool can easily scan your website and determine where improvements can be made. A web developer will be able to address these issues. Do you have a website with several products or services? Ensure that users can quickly and easily search your site to find what they’re looking for. Once shoppers have found what they’re looking for, our goal is to get them to click that “Add To Cart” button. It’s important to ensure that essential product details are immediately visible when a user arrives on the product page. Avoid excessive clutter and, if possible, ensure that important product information is shown “above the fold” so that the shopper can immediately see it without scrolling down. Make CTAs (calls-to-action), such as “Add To Cart” clearly visible. Now that shoppers have a product in their cart, our goal is to drive them to make their purchase. 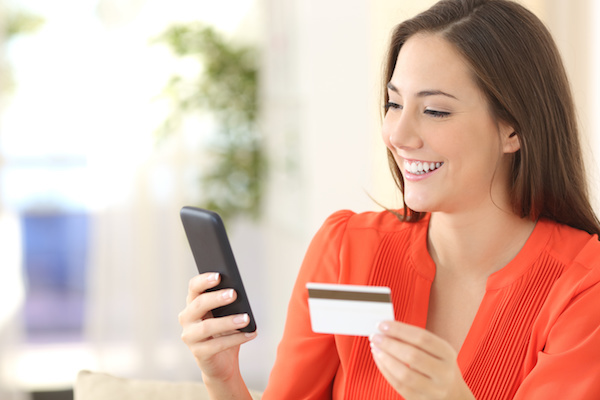 Ensure that your mobile website’s checkout process is simple and secure. Let users checkout as a guest and don’t force registration unless it’s absolutely necessary. Allow users to easily edit their cart in case they’ve accidentally added an item they don’t want, or too many or too few of an item they do want. A well-designed mobile checkout will almost always be different from the desktop checkout on a given website. Mobile design trends are constantly changing. Here at Numinix, our job is to stay up to date with the latest mobile design best practices. Get in touch with us today, and let us help you improve your mobile conversion rate and drive additional revenue.